Music Scholarship students | Music Matters | Because it does. Doesn't it ? Continuing the series profiling Music Scholarship students at the University of Kent. This week, first-year violinist reading Psychology with Forensic Psychology, Melody Brooks. Being part of a musical family and having such a musical name, it seems only natural that would be drawn to music. My parents have fostered in me a love of all genres of music, and waited for me to decide which instruments I wanted to play. The first instrument I chose was the violin, after seeing an orchestra perform at my primary school. Flute and piano soon followed. 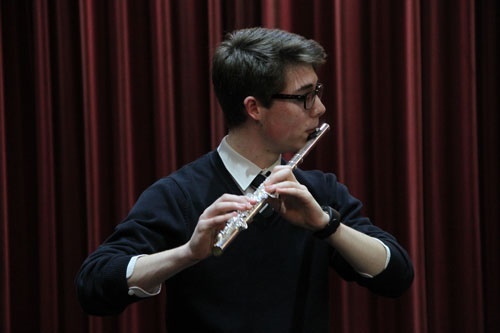 After gaining entrance to my secondary school (Parmiter’s School) because of my music, I was encouraged to participate in a number of musical groups including Orchestra, Junior and Senior Flute Choir (in which I took the opportunity to play piccolo, alto flute and bass flute), Senior String Ensemble and Concert Band. I also studied Music at GCSE and AS-Level, which widened my exposure to different genres of music and allowed me to truly appreciate composers and performers alike. 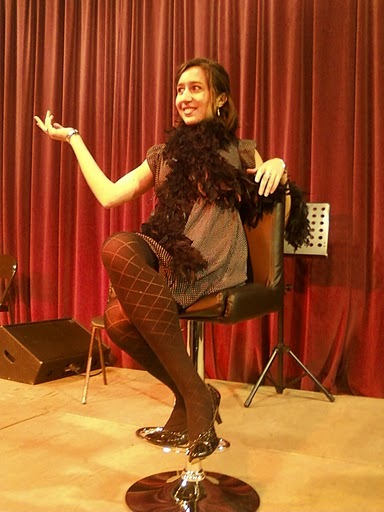 I also participated in the school play, Lady Windermere’s Fan, as part of the musical ensemble. Outside of school, I participated in the CAN Music Academy (Children Achieving Now) in both the orchestra and the choir. I also participated in the Kuyumba Youth Music (KYM) String Orchestra. 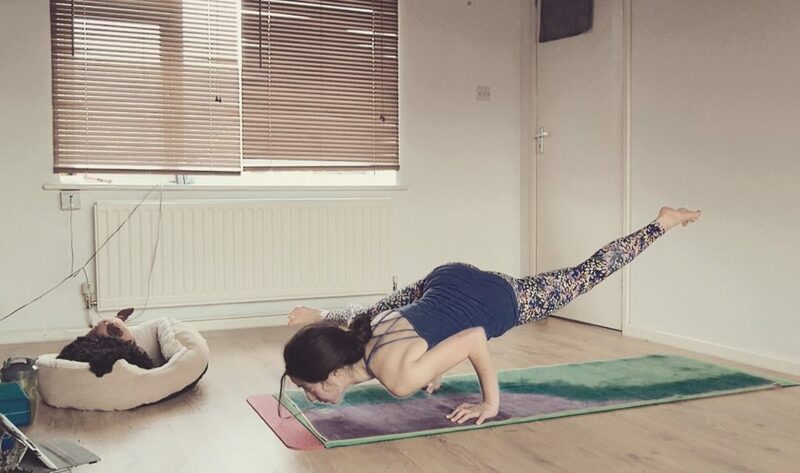 The KYM experience was one of growth, as it was an extremely competitive environment based on merit and fostered in me the spirit of hard work and practice. Singing was always encouraged in my church, and my church is well-known for its lively, inviting music. Often, I would participate in a string ensemble or play violin to accompany a meditational song. From the age of 11, I was encouraged to lead Praise and Worship with my friends, singing gospel music. We then formed a singing group called ‘Amplified Praise’ and sang in venues such as the ExCel London Centre and Pontins in Wales. Here at Kent, I currently play in the Symphony Orchestra and String Sinfonia. I have enjoyed being a member of both groups. The Orchestra is amazing and is exposing me to different composers. String Sinfonia is smaller, but just as much fun. I love being able to develop my skills alongside those more able than me and to enjoy music once again. Continuing the series profiling Music Scholarship students at the University of Kent. This week, first-year studying Music, Zaneta Balsevic. My interest in music was well established from the age of 11. This interest came during a local school concert where I saw a group of string players perform. This had an immediate impact on me and soon after I convinced my parents to register me for the local music school, which became my daily passion. I began to appreciate the power and meaning that music has as well as develop my performance skills on the violin. In my native country, Lithuania, I studied in a music school for four years before moving to the UK. There, I was part of a string ensemble, with whom we performed regularly in music school concerts as well as national festivals. A year later, I became part of a piano trio and in 2010 we won 2nd place in the Third Annual Dainius Trinkunas Junior Chamber Music Festival at the Lithuanian National Academy of Music and Theatre. We also performed in numerous other competitions and concerts. As I grew older, I became increasingly captivated by my instrument. 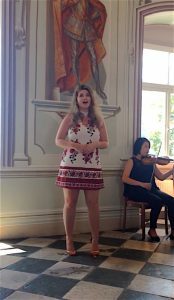 I have learnt that a successful performance requires many challenges to be overcome such as gaining high self-confidence and learning to communicate musically with the audience. Since I moved to the UK in 2012, my goal has been tightly focused; to study music at a highly respected music institution. I believed that a conservatoire education would enable me to become a successful professional violinist. I also believed it is a great place to meet like-minded musicians and develop ensemble skills through playing in chamber ensembles and orchestras. This motivated me to prepare for an audition and as a result I gained place to study Violin Performance at Trinity Laban Conservatoire. Yet, I soon realised that university is a more suitable place for me as a musician and a student. 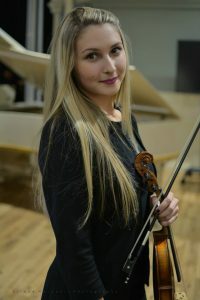 I believe that having gained an academic degree it would enable me to be more flexible with regards to my career options, while being part of orchestra and chamber groups, therefore helping me to developing equally as a student and a musician. I was a member of the Musica Nova Academy, where I participated in various concerts often taking place in St. Steven’s Church and the Rossotrudnichestvo Centre in Kensington. For a year, I have been a part of trio ensemble in my music school. With the trio, we have performed a tango piece Primavera Portena and Ave Maria by Astor Piazzolla. This is also when I passed my grade 8 in violin with distinction. One of my greatest performance experiences was at the international music competition in Bulgaria ‘Zvezdna Dga’ where I performed Tchaikovsky’s Melodie. I was awarded first place in the category of solo classical performance. This experience helped me to overcome my greatest fears and to realise the importance of the performer as a communicator who isn’t afraid to imprint their own interpretation of the music that they play. In addition to playing at ‘Music Nova’ I have also fully supported my secondary school music department in many ways. I was a member of the school Orchestra and I also lead the string orchestra and played in the band for a musical last year. In addition to this, I led a sectional of 60 primary school students in the school’s annual ‘Primary School Choral and Orchestral Day’. I believe that working with less-experienced musicians has helped to strengthen my communication, leadership and social skills and I enjoyed acting as a musical role model for younger musicians in the school. I have greatly enjoyed participation in a music competition ‘Stars of the Albion’ in February 2014 and have won a second place in the category of solo violin classical music. Visiting the University of Kent, I was astonished by this beautiful place, course, and people. This led to a decision to study here. Currently, I participate in University Choir and Orchestra (Medway), Chamber Music Forum and City of Rochester Symphony Orchestra. Continuing the series profiling Music Scholarship students at the University of Kent. 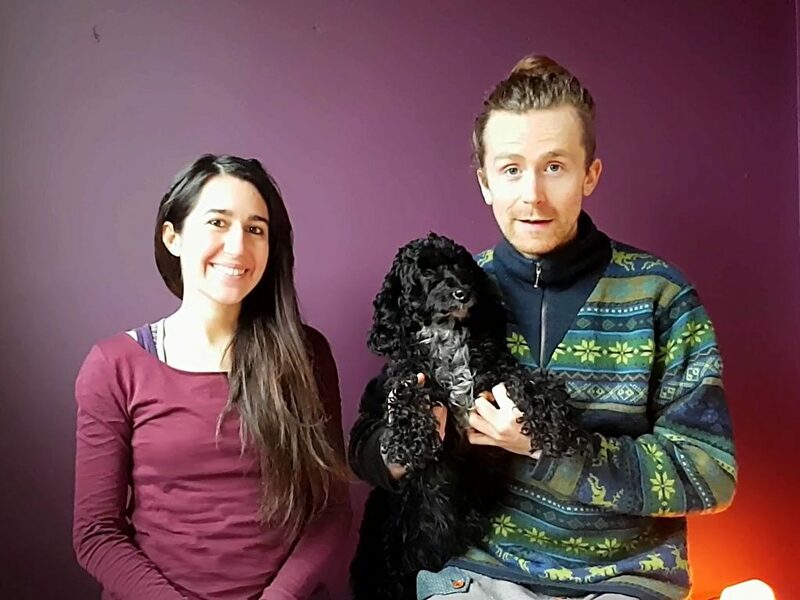 This week, first year Art History student, Fleur Sumption. Ever since I can remember, it seems that constantly being surrounded by music of some kind has had a massive impact on my life. Whether it was my Grandad taking me to various symphonies or being sat as a baby on the lap of the drummer in my Mum’s Jazz Band that she ran. Initially, I was encouraged to learn the piano, and for a child who could rarely sit still, when I got to about 8 years old it was decided that I’d rather take up the alto sax and have singing lessons instead. My introduction to the world of the Theatre started at age 10, when I was picked for the children’s choir in Joseph and the Amazing Technicolour Dreamcoat at the Adelphi Theatre in the West End. Having been “bitten by the performing bug”, this marked the start of many musical possibilities. I then went on to participate in Bill Kenwright’s touring production of Joseph in the following year, and appeared on Children in Need as part of the Joseph Cast. 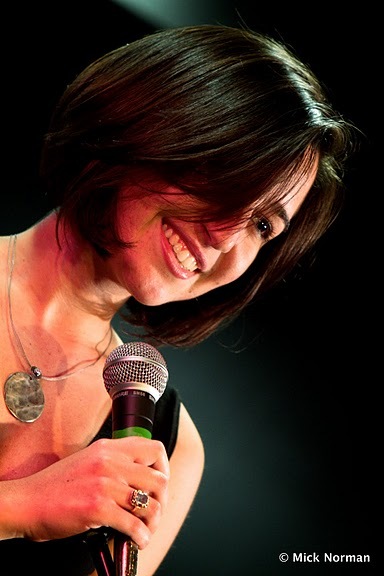 In 2012, my passion for singing increased when I was in the English National Opera cast of Carmen at the London Coliseum and was swiftly followed by recording Andrew Lloyd Webber’s children’s recording of Cats with The Really Useful Company. Closer to home, I frequently participated in Music Festivals in Essex, winning classes across the seven years when I competed. In 2015 this lead me to be named Havering Young Musician of the Year, through the annual competition ran by the Rotary. I have also previously been awarded the Jacamar Shield for outstanding performance, having reached the Regional Finals of the Rotary competition. At home, I am a member of Firebirds, a local theatre group, being Cast as Martha in our production of the Secret Garden in 2014, and the Baker’s Wife in our 2016 production of Into the Woods– the latter of the two won many local awards, including “Best Performance by a person aged 18 and under” for my portrayal of the Baker’s Wife. At my Secondary School and Sixth Form, The Coopers’ Company and Coborn School, I was able to complete my ABRSM Grade 8 for Singing, and also my Music Theatre Diploma. Throughout my years there, I have been fully involved in the music scene, being able to perform with the Symphonic Wind Band at the Mansion House for the new Lord Mayor each year, having travelled to Birmingham for the Music for Youth Finals, and played and sang around Italy in our bi-annual music trip. 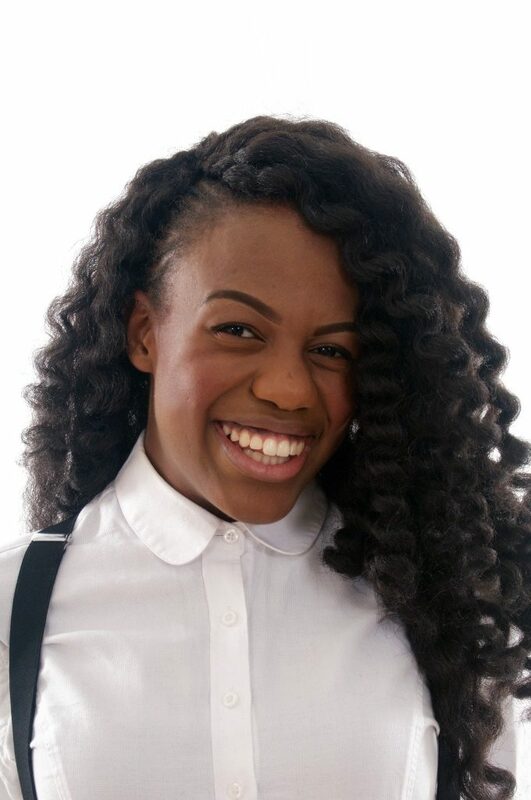 In my last year at Sixth Form, I was invited to perform at prestigious company events and gigs, including a wedding at the top of the Gherkin in London! 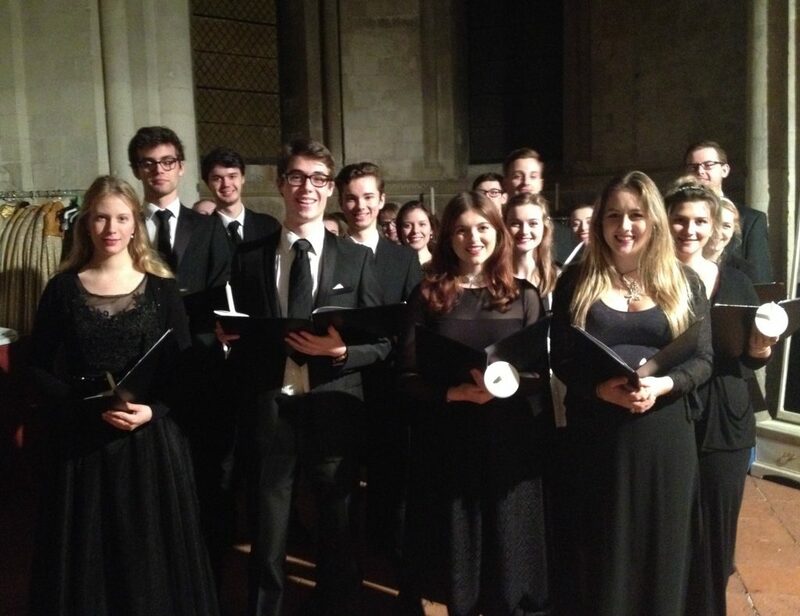 At University, I have been lucky enough to gain a place in the University Chamber Choir (pictured above) which is a huge privilege when you see the other musical talent in the University. Also taking part in Chorus and the Cecilian Choir, my musical diary is always bursting with events and rehearsals. I really love that there are so many wonderful musical opportunities here, and I am extremely excited to see how my musical journey will progress at the University of Kent. 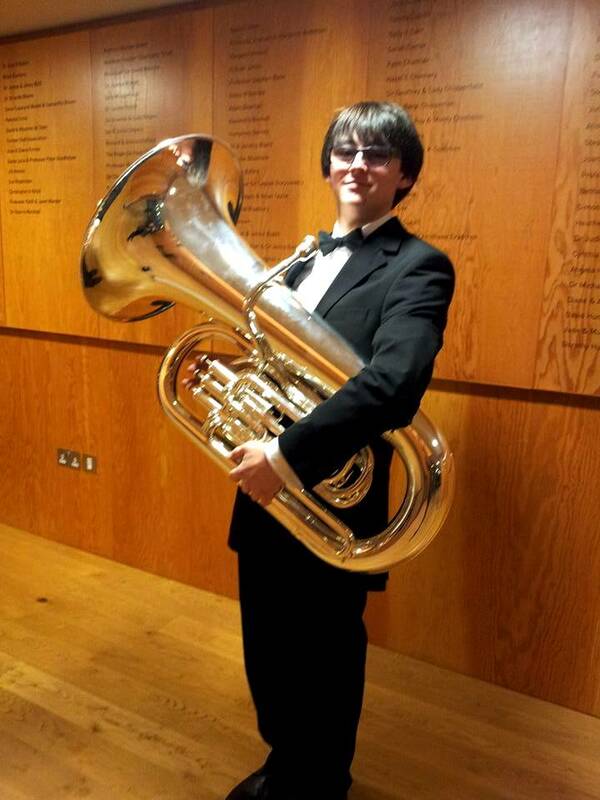 Continuing the series profiling Music Scholarship students at the University of Kent; this week, first-year Physics student and tuba player, Edward Styles. In the past I have had many musical opportunities in bands and orchestras in an around my county including the Devon Youth Wind Orchestra, Devon County Youth Brass Band and the School band at Ivybridge Community College. These bands have helped me progress in music throughout my school years with their challenging and exciting repertoire. The bands have toured in many different countries including France, Italy and Spain. I have also attended a work experience with HM Royal Marine Band Service where I got to perform in a concert with them. I have also been a member of the Royal Navy Volunteer Band in HMS Drake situated in Plymouth for three years, which holds many concerts throughout the year. I was the soloist playing bass in the Ballroom for Volunteer Band in their annual competition against the other Military Volunteer bands across the country. The band was awarded runner-up for that year. The volunteer band also trains for marching and I have learnt many marching routines throughout the time I have been there. 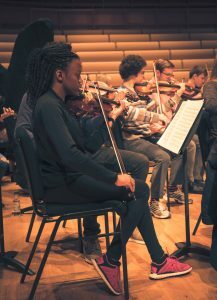 At the University of Kent, I am a member of the Orchestra which is a great opportunity for me to enjoy classical music as until now I have not been in any full orchestras. I am very proud to have been accepted in the Orchestra as it produces such a great sound and the members are all at such a high level in performance. I am also a member of the University Concert Band which has a exquisite supply of fantastic pieces that we play! All of which give me great pleasure when performing with them. This year I have started a new, small ensemble which concentrates on Bavarian oom pah music; however the band is also very fluid and we are planning to extend our repertoire to anything the members wish to perform. This is to allow the members to perform great pieces in a band without having the hassle of tracking down a full band sheet music score. The band consists of two clarinets, two trumpets, one trombone and a tuba. We have not had any concerts yet as we only started practicing in December 2015! See other profiles in the series here. It’s that time of the year when students and their families are thronging to cathedrals in Canterbury and Rochester to take part in their Graduation ceremonies (cue lots of photos of mortar-boards being hurled in celebratory fashion into the air!). 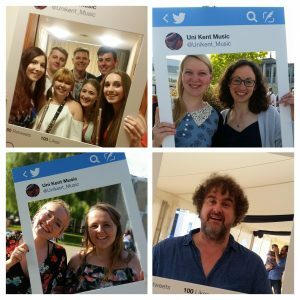 Best wishes to everyone involved in music-making who will be graduating over these two weeks!